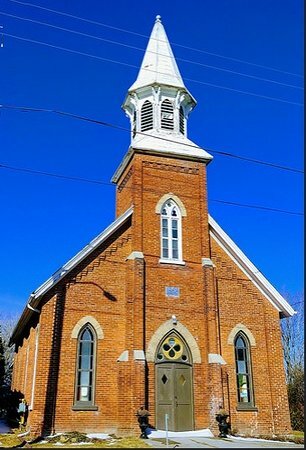 HOW GREAT THOU ART Genuine Emporium - Once the heart of the village, this 1883 church now showcases Ontario artists & exhibits their wares – Noteworthy paintings,carvings,ceramics,sculptures & jewelry, plus collectibles,funky salvage items,authentic Persian rugs & music concerts. Art & jewelry classes, special events , and intimate weddings. Open weekends - Victoria Day to Thanksgiving. Been to How Great Thou Art Genuine Emporium? Share your experience!